Alexia Kombou, is an award winning Female British voice over artist based in London and has been working as a voice over for the past five years. She won Female Voiceover of the Year 2018 at the One Voice Awards. Alexia helps brands big and small to connect with their customers through voice. She has provided voice overs for television, radio, audio books, video games, commercials and corporate narration, for clients worldwide. Description of voice: Young and vibrant with smooth, warm and velvety tones. RP with a slight North London twang. Acting I studied Drama at Queen Mary University where I learned how to look after my voice, explored the true potential of my voice and learned the theory behind voice work. 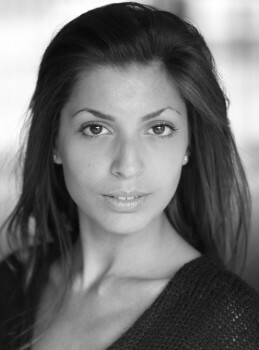 I am a commercial actress, regularly auditioning and my most recent role was in a Barclaycard commercial on Channel4. Children's drama workshop leader I worked with children as a drama workshop leader for two years. I am able to communicate very well with children, altering my voice and playing many characters through physical performance and narration. This has helped to bring an other element of performance and expression to my voice. Member of Gravy For The Brain I have completed many of the webinars and tutorials in the GFTB database, I take part in these on a regular basis.